Here for you tonight I have a lager that is popping up around Melbourne. 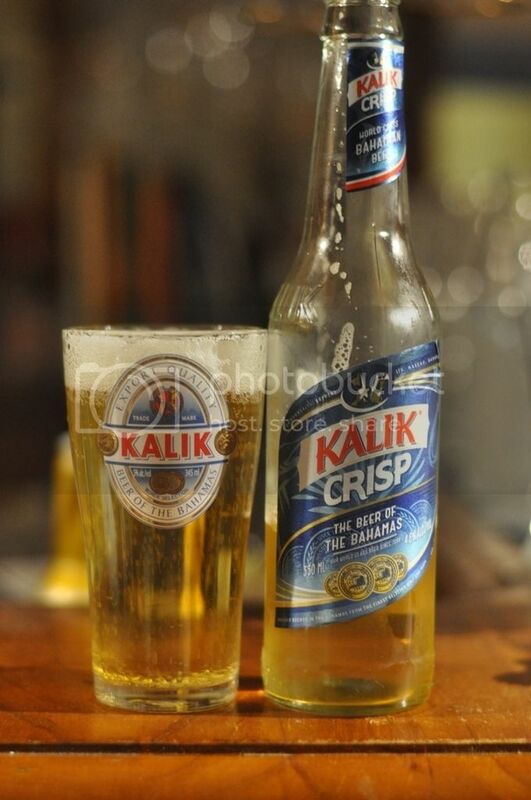 Kalik Crisp is a lager from The Bahamas, a country I've never had a beer from. The clear glass bottle that houses this beer has certainly raised my concerns, but I'm still willing to give it a go. First though, some background. The Bahamas are a group of approximately 700 islands off the South East coast of Florida. Their population is around 400,000 and is mostly Christian. Like many Caribbean nations their economy is massively dependent on tourism; with more than 60% of their GDP being attributed to tourism. They are a member of the Commonwealth of Nations, and subsequently have Queen Elizabeth II as their monarch. Naturally, given it's location, it has a hot, tropical climate - which is what is sparking my concerns about the bottle. Kalik Crisp poured reasonably well. The colour was certainly on the lighter side, with light yellow being the nicest way I can think of to describe it! The head is brilliant white and initially is of a decent size. It quite aerated, with quite a few larger bubbles almost from the outset, and accordingly fades to a film quite quickly. This film hangs around for the duration and even leaves behind some lacing. The real test of the glass bottle is often the nose. I'm quite surprised, and thankful, to report that there was very little, if any, signs of skunk in this bottle. I'm also pleased to report that I don't have to invoke the lager rule; Kalik Crisp has a reasonable nose. There was some light cereal grain malt aromas as well as some floral hop notes. The hops didn't seem particularly strong/bitter, but they were definitely there on the nose! It tastes exactly like what the nose indicated. Kalik Crisp has a light malt base, which is slightly on the sweeter side, but not off-puttingly so. Like I thought, the hops don't provide much bitterness, but they do provide some interest; with some floral flavours and more prominently lemon. There's a tiny bit of corn at the end, but it's not really noticeable if you're not looking for it. The carbonation was quite high, but it was strangely light on the tongue - it's an odd, but pleasant, feeling. 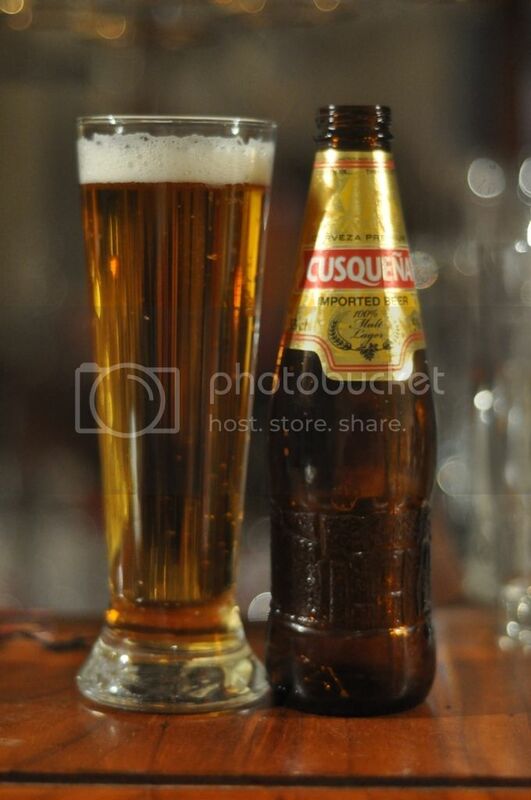 Overall, I was pleasantly surprised with how this lager tasted. It's not of the same quality as something like the Pilsner Urquell that I had the other day (which was magnificent! ), but nor would you expect a tropical lager of this nature to be. It's light, it's refreshing, it's quaffable and it actually tastes like a beer; not skunk. It would be a particularly easy beer to put away multiples of on a tropical beach. In Australia, you've obviously got better options - but if it's still as cheap as it is now come summer, there would be worse options to stock your fridge with for your mates.